Currently celebrating its 50th anniversary, University of Toronto’s Massey College (1963) is one of the most admired buildings on a campus rich with admired buildings. 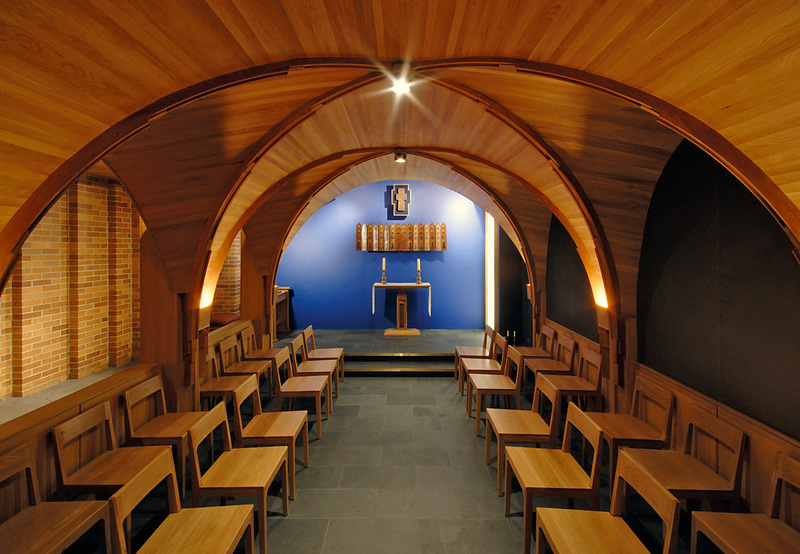 Designed by renowned Canadian architect Ron Thom, the College successfully achieves its project requirements, responds thoughtfully to its architectural context, breaks with trends of the day by folding several historical forms into a single form, and creates a stunning precedent anticipating design trends in Canada and internationally. To this day Massey College remains a resilient, much-loved building that has required few changes, even a half-decade after its construction. The College was a gift from the Massey Foundation intended to create a special place to nurture learning, the intellect, and the public good. Thom’s design was chosen in a competition that did not specify style, but which called for an arrangement recalling the English colleges of Oxford and Cambridge. In response to this call for academic dignity and intimacy, Thom created a cloistered, inward facing plan similar to the “Oxbridge” tradition. The plan is an open rectangular courtyard surrounded by three three-storey residential wings and one four-storey wing. 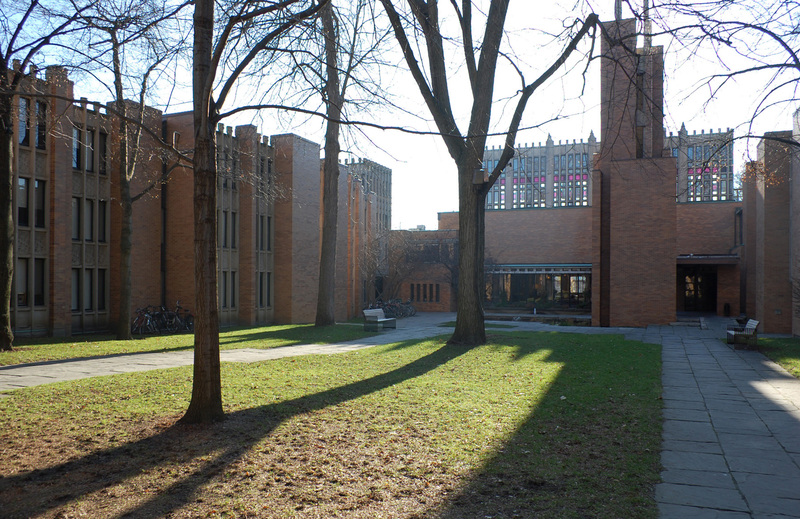 In 1989, in recognition of its architectural significance, Massey College was designated under Part IV of the Ontario Heritage Act. 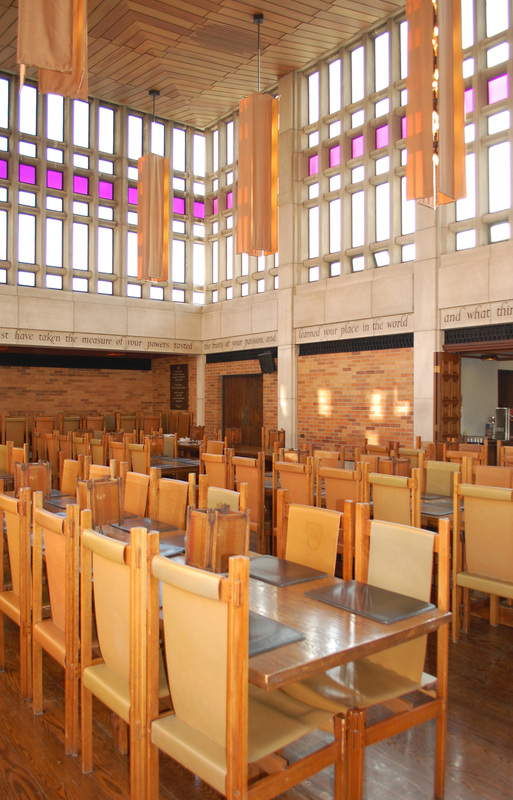 "Massey College is a skillful and humane interpretation of Arts and Crafts sensibilities in a modernist idiom. It is remarkable for its seamless integration of exterior and interior design, including the rich detailing of its custom furnishings and fittings. 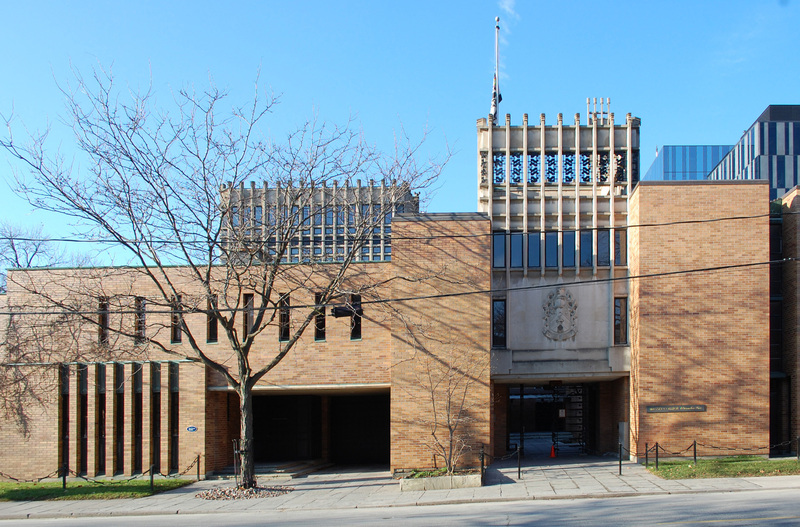 It has aged well, and is one of the University of Toronto's most treasured modern buildings."